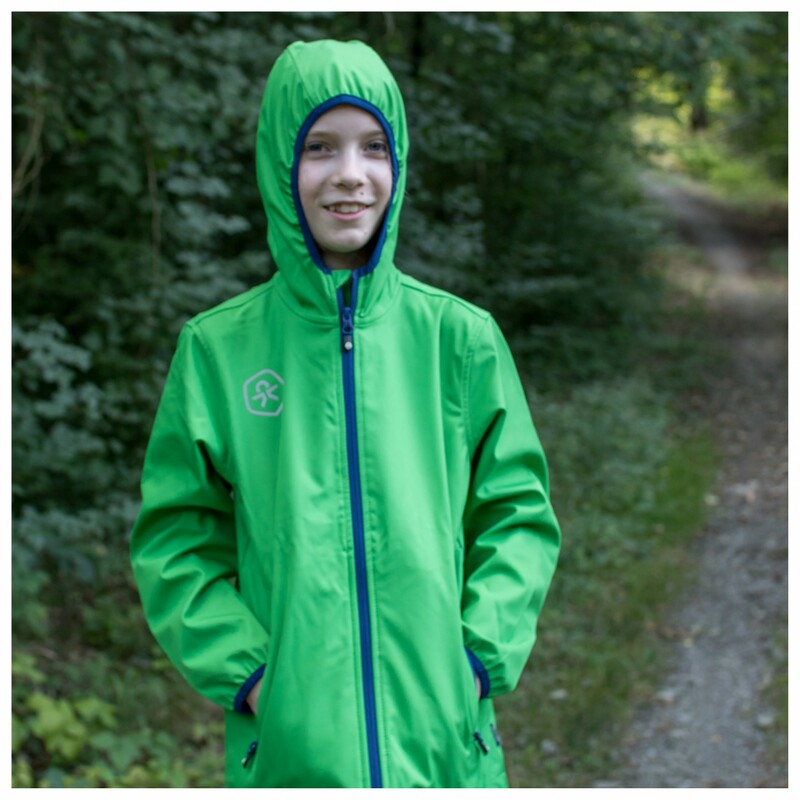 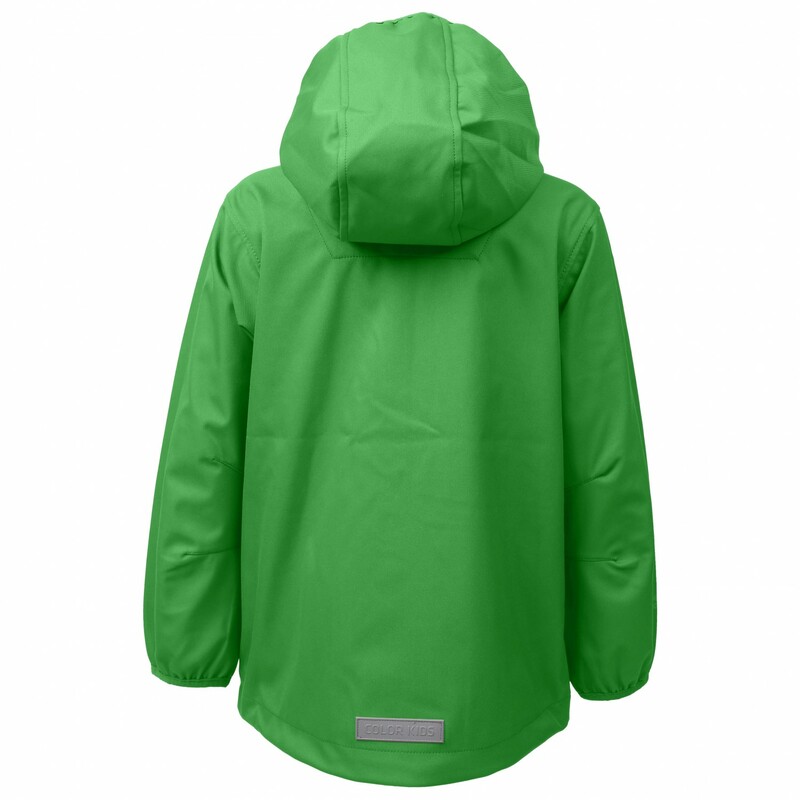 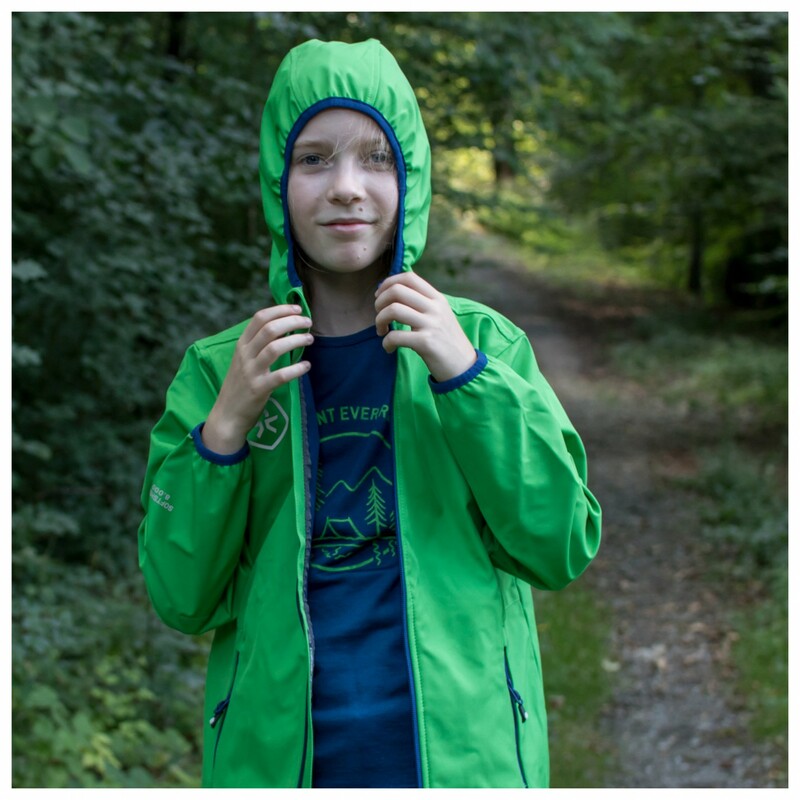 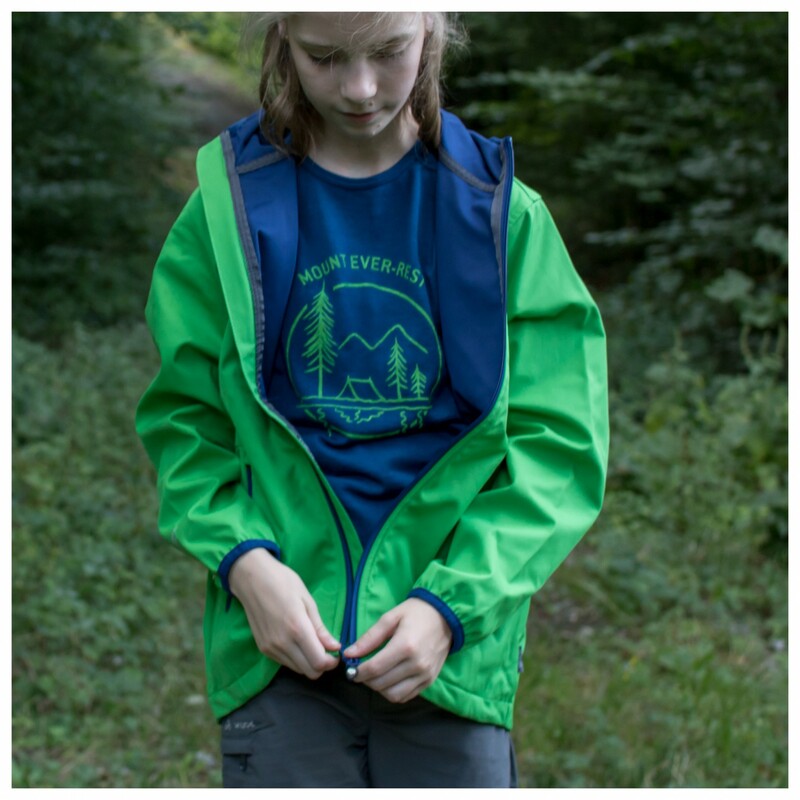 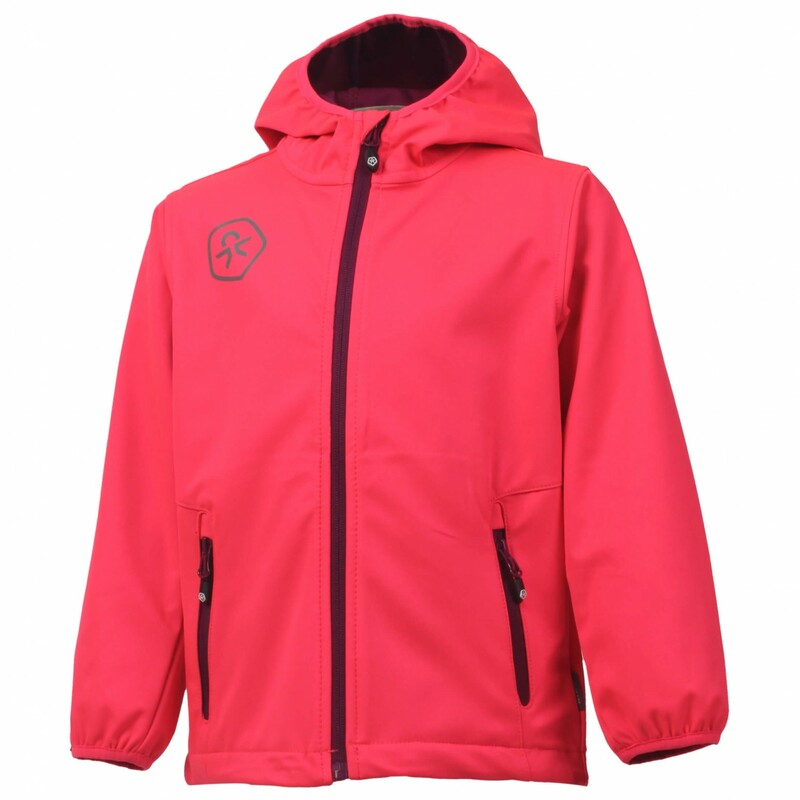 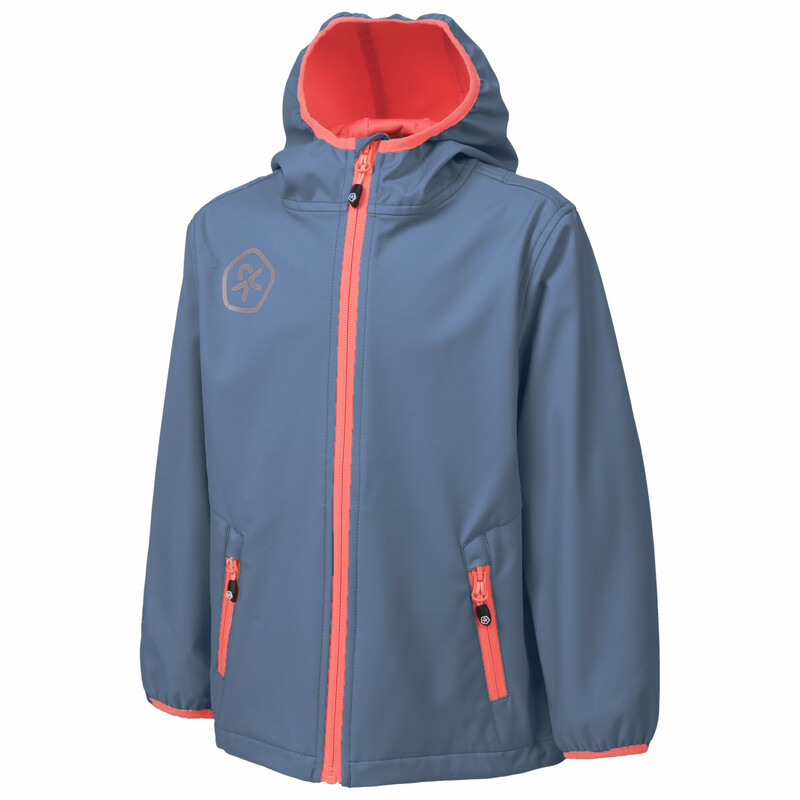 A colourful softshell jacket for wet weather and in between seasons: the Kid's Barkin from Color Kids! 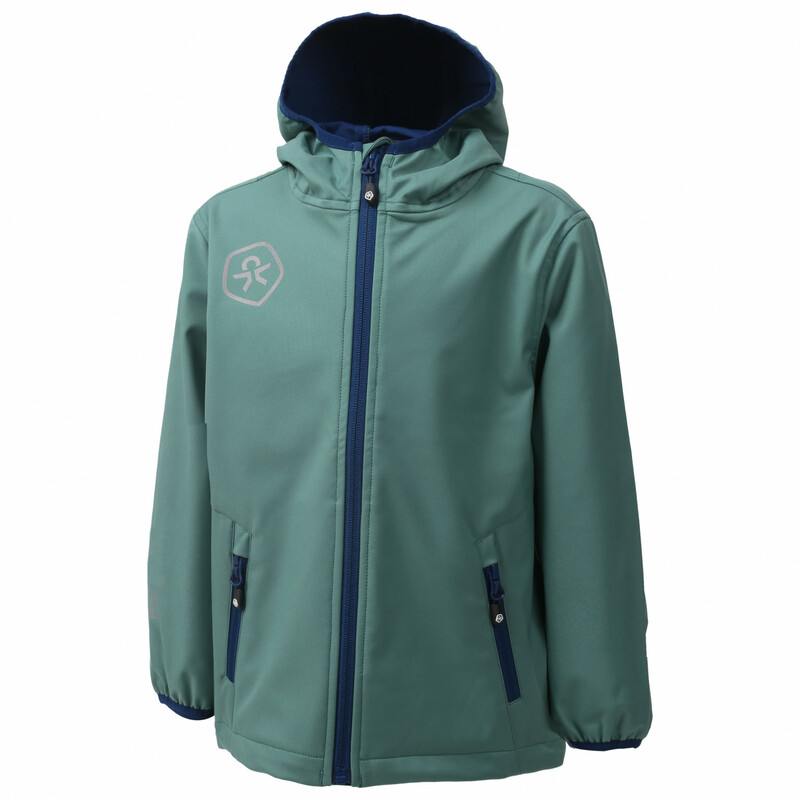 Thanks to its high-quality membrane and Bionic Finish, the jacket is not only water-repellent but also completely windproof. 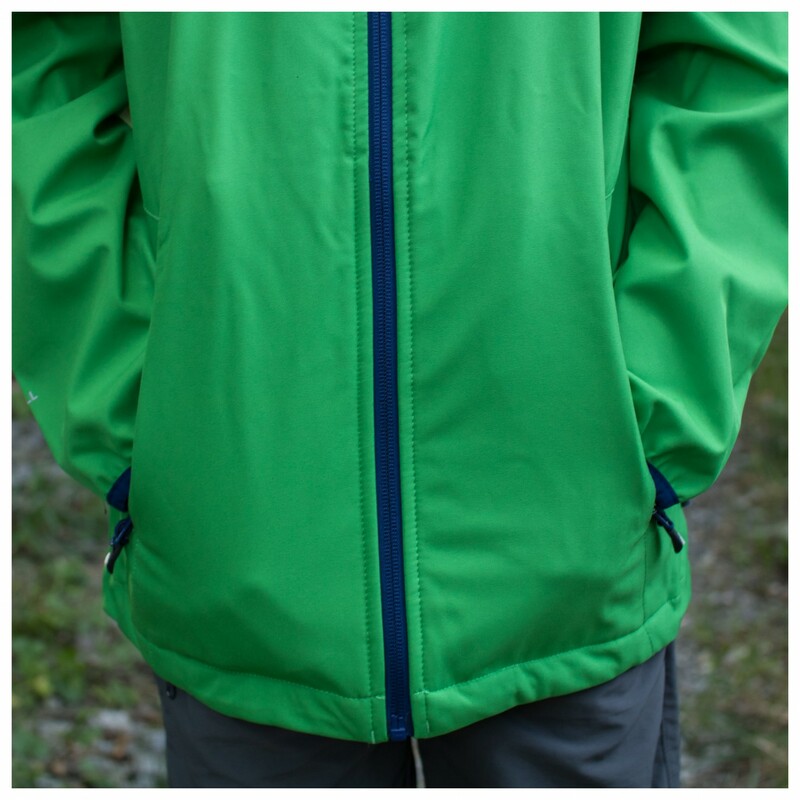 Plus, dirt can be removed extremely easily by simply brushing it off. 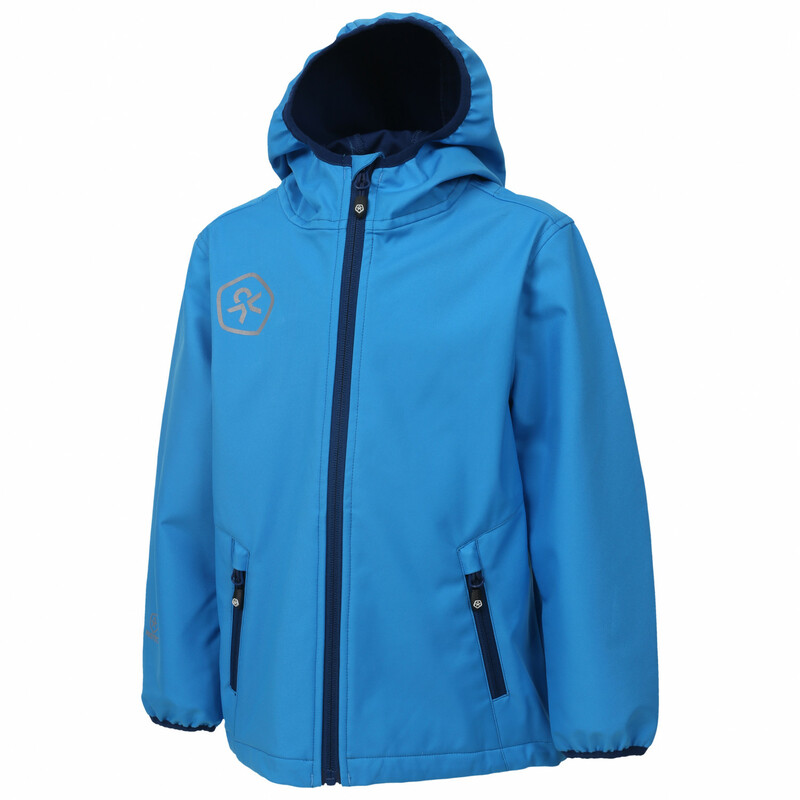 The fabric is also breathable to keep your temperature and the amount of moisture on the interior regulated. 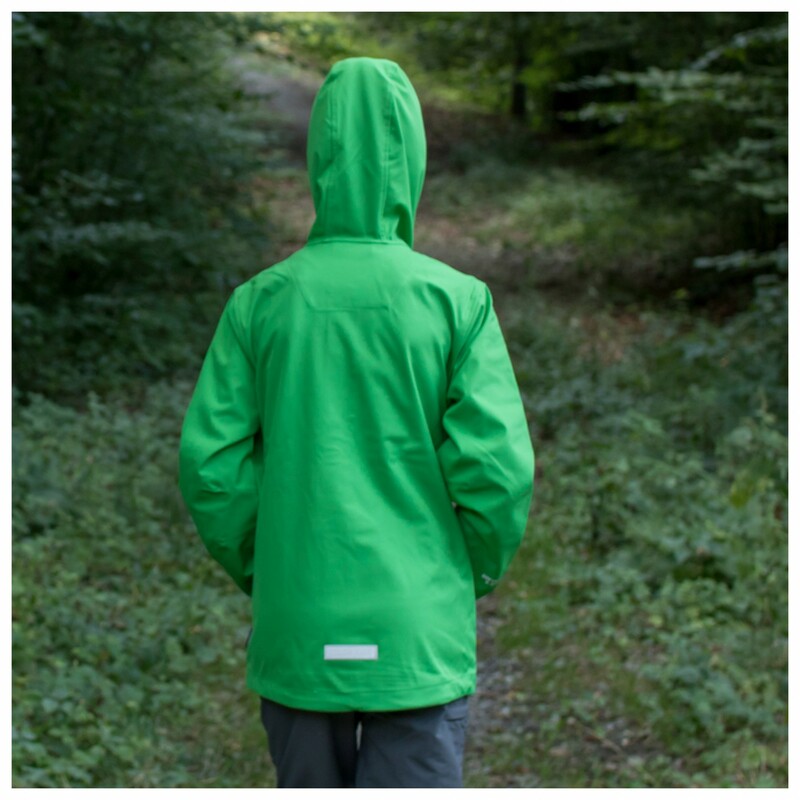 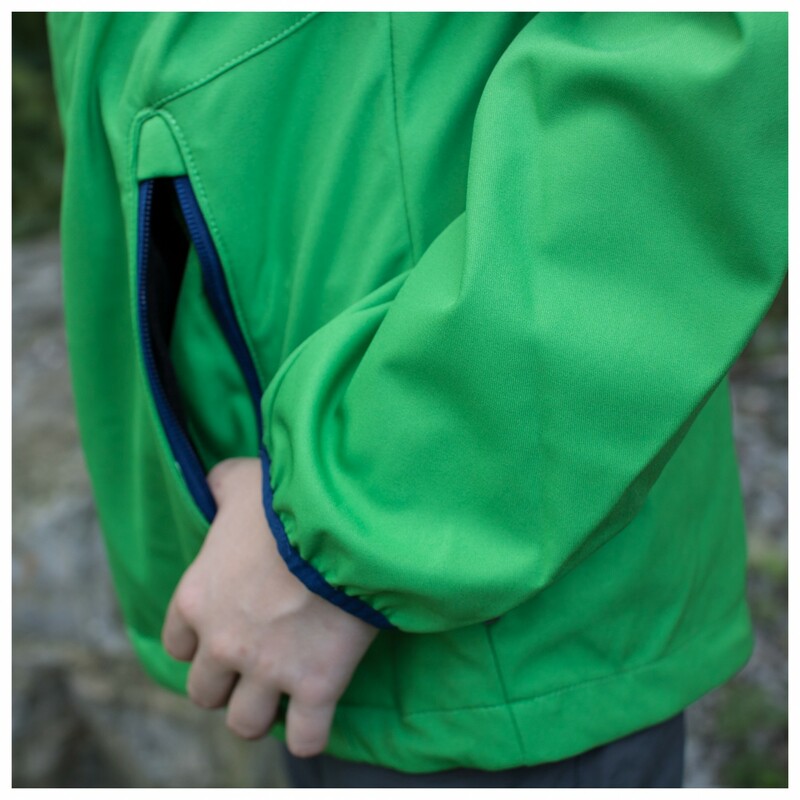 There is a drawcord at the hem you can use to adjust the fit and seal out cold wind and air. 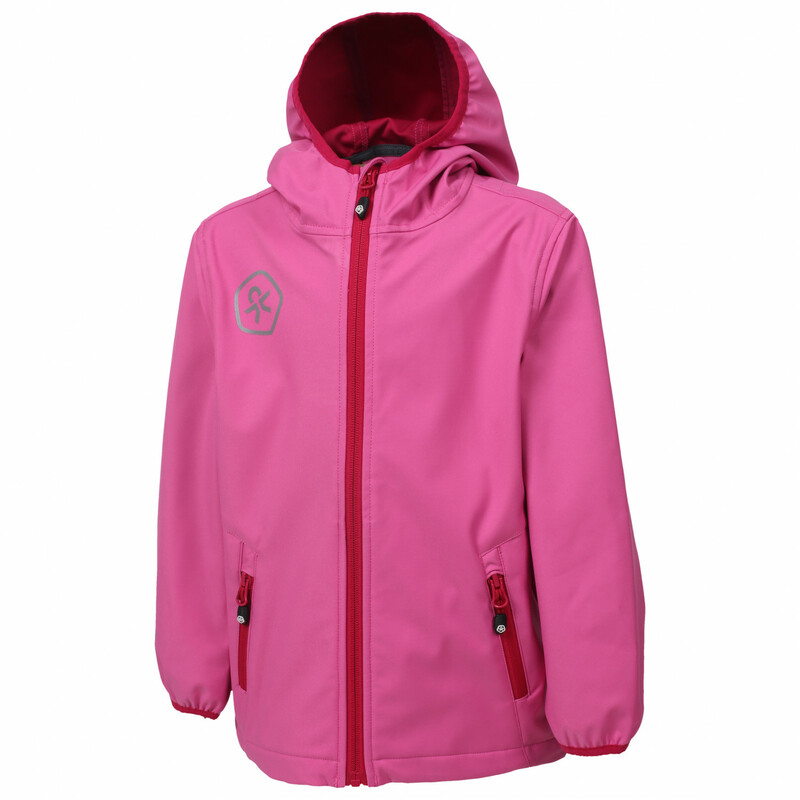 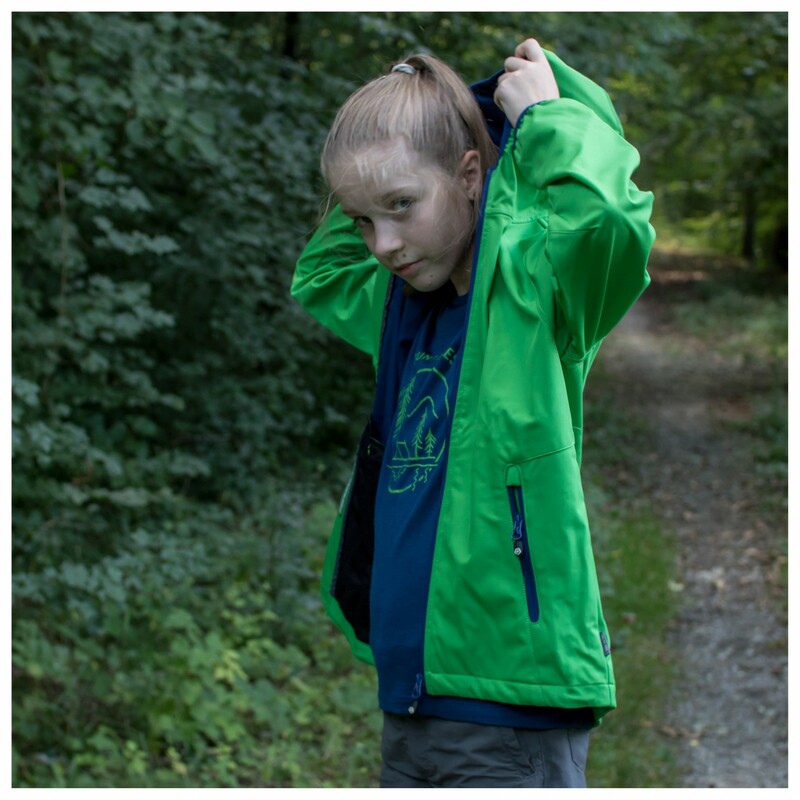 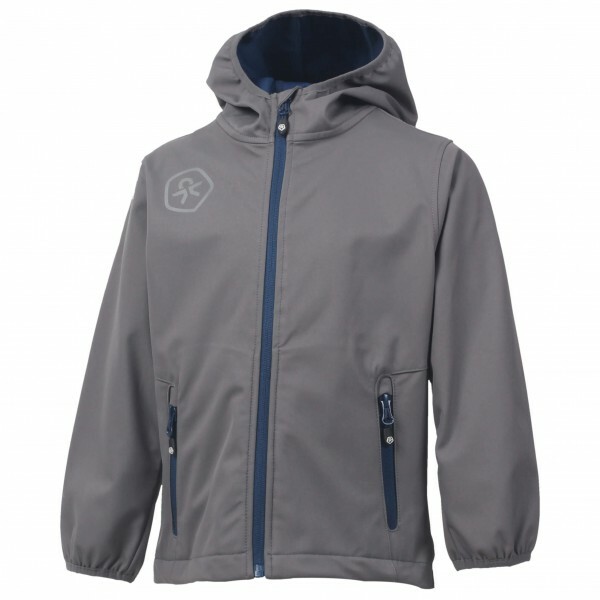 The Kid's Barkin softshell jacket from Color Kids has a snug-fitting hood as well, so both your child's head and ears will be protected from wind and bad weather as well.